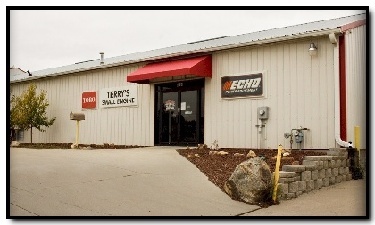 Terry's Small Engine Service specializes in the sales and repair of small engine products. 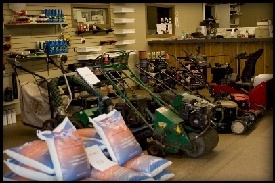 We offer a wide variety of mowers, snow-blowers, golf carts, and an assortment of power tools. Terry's has been in business since 1986 and is your local dealer for the best brands in the business! We have experienced mechanics on staff and they can assist you Monday - Saturday. Please contact us with any of your small engine service and repair needs, and when you are in the market for new equipment. With our experience and expertise, we can assist you in choosing just the right piece of equipment for the job. We look forward to seeing you soon. Located at 8910 Washington Circle, Omaha, NE, click here for our map. 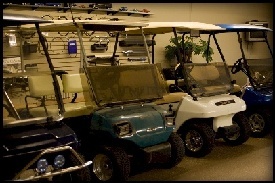 golf cart/custom golf carts, parts and accessories needs. Terrys Small Engine Service has been in business for over 23 years. Terry is retiring in 2009, and sons Jeff, & Greg will be continuing the business. Greg has been at Terry's for 18 years. © 2009 - 2010 Terry's Small Engine Service - All rights reserved.